Here’s the chance to have your production work judged by such legendary producers as Peanut Butter Wolf, Klever, Jazzy Jeff, and Flosstradamus. Prizes you ask? Each winner will receive $1,000, an opening night one of four Heineken presents Green Shoelace Late Nights (LA, NY, Chicago, or Miami), and their remixed track on an upcoming Dim Mak album.  Submit you remix by 12am on July 21, 2010 and gain more contest info at Green Shoe Lace. Here’s something I threw together quickly for this. Semantik, feel free to delete this if you think it’s inappropriate. Everyone, feel free to let me know your thoughts.